Do you remember a certain Michael Caine saying that “you’re only supposed to blow the bloody doors off!”? Of course, we couldn’t be talking about any other film than that 1969 classic, “The Italian Job,” where a British motoring icon, designed by the late Sir Alec Issigonis, tore around the streets of Turin, after a heist of epic proportions. Yes, we’re talking about the loveable Mini Cooper, which has firmly cemented its place in the pantheon of motoring lore. 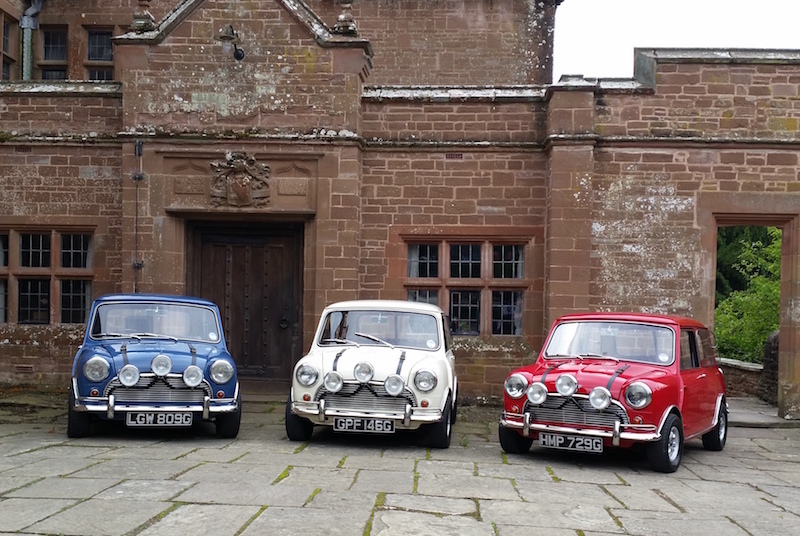 All three cars that appeared in the film itself, will be on static display at the forthcoming “Motorsport at the Palace” event. The location of the event also has significance, in relation to the film itself. The inner field was a the scene of the van exploding before those magical words were uttered by Michael Caine. This was as well as the jumping sequences being practiced around the circuit, and part of the car chase was filmed there. The event, which was revived by the Sevenoaks and District Motor Club back in 2010, the event has flourished into its sixth year, which will see a raft of classic machinery, with any petrolhead being welcomed with open arms, not matter their preferred choice of era. Crystal Palace is well-known for being one of the oldest venues that has been used for racing, as well as having the distinctive honour of having live and televised racing coverage filmed at it’s location. No matter the car’s age or the plethora of racing drivers that are now starting to flock to the event itself, it’s one not to miss. This year’s event takes place on Sunday 29th and Monday 30th of May, and to find out more on what’s in store for a true family day out, you can visit their official website here.